With Christmas only three weeks away now, the good folks in the UK can take advantage of the BlackBerry Curve 9320 getting a price drop with a few retailers/networks. The device is now available for under £100 on Pay As You Go which will put a smile on many parents faces. 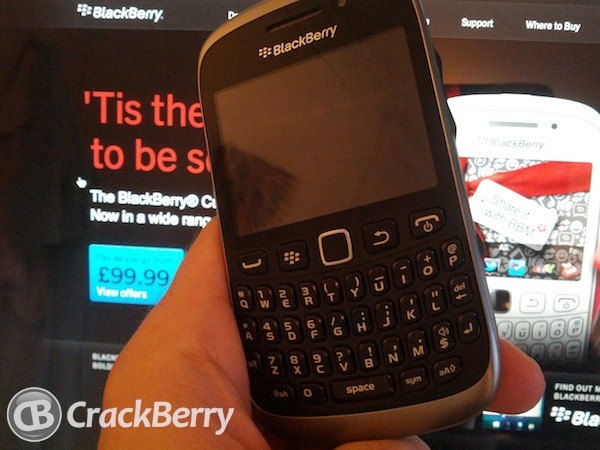 The BlackBerry Curve 9320 has already seen huge success since its launch and with the UK market share being so strong for RIM, these new price incentives should certainly give sales a boost in time for the holidays. If you need a reminder of what the BlackBerry Curve 9320 is all about be sure to check our thoughts on the budget BlackBerry.